Here are some interesting facts about Charles Rennie Mackintosh. Charles Rennie Mackintosh was a Scottish designer and architect. He is most famous for his Art Nouveau designs, one of the most popular early 20th century styles of decorative art. 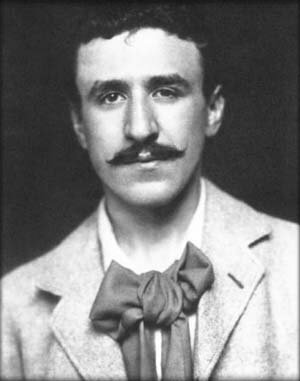 Mackintosh was born in Glasgow, Scotland in June, 1868 and lived in the city for most of his life. In 1890 he won a student award, allowing him to study architecture and design. Between 1899 and 1913 Mackintosh worked in a local architectural practice. Along with his wife and two other designers, he formed an artistic group known as the Four. Mackintosh was heavily influenced by the simple designs of Asian painting, drawing and design. The Four was mistrusted by the public because of their unusual designs and the group was sometimes known as the Spook School. They designed furniture, metalwork and book illustrations. 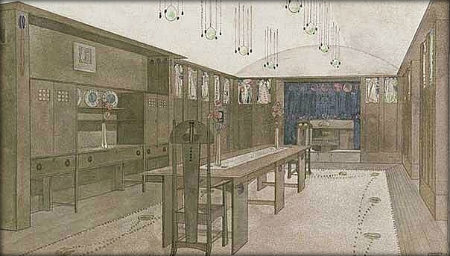 Mackintosh’s designs were more appreciated in Austria and Germany than in the UK. He exhibited his architectural designs in Moscow and Berlin and was asked to design the Warndorfer Music Room in Vienna. One of his best known buildings is the Glasgow School of Art, which is still in use today. The design of the building was influenced by his travels to Italy and his love of nature. Charles Rennie Mackintosh also designed Glasgow’s Willow Tea Rooms, which still serve tea on Glasgow’s Sauciehall Street today. The elegant room had a fireplace, comfortable armchairs and sofas, and a vaulted ceiling. He submitted a design for Liverpool Cathedral in 1903 but it was not chosen. He designed several other never built buildings, including a concert hall, science museum and railway station. Charles Rennie Mackintosh moved to Brittany, France in 1923, and painted watercolours. He died in December, 1928 and is buried in Golders Green crematorium in London.